I apologize for seemingly dropping off the edge of the internet, but Christmas came too quickly and I suddenly needed to finish two projects. Those that know me well, know that while I love to start new projects, finishing them is another matter! As testimony to my "finished-is-better-than-perfect" philosophy, I am posting pictures. 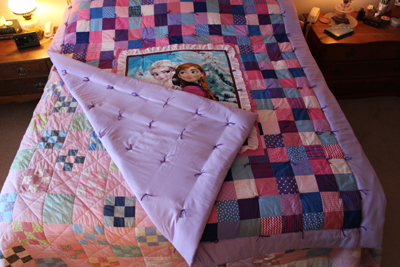 This third simple, hand-tied comforter was finished and mailed to my niece's step-child before Christmas! 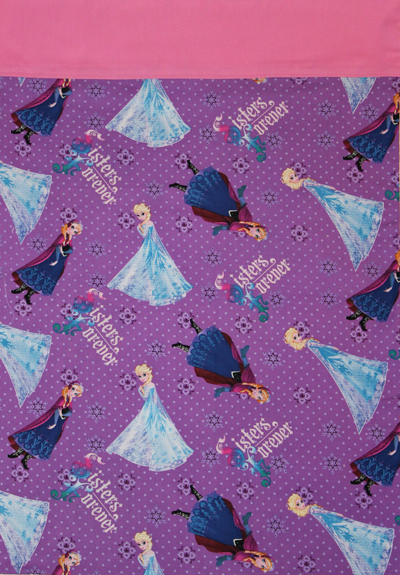 Sewing for a young princess is always fun! Pink, lavender and blue are my favorite colors too and add a bit of Disney, with a touch of lace and I'm all in! comforter made some time ago? hand-tied comforter. It should keep this little princess warm all winter! 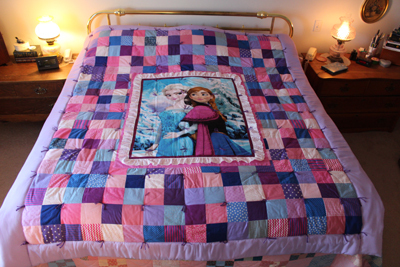 Of course, it needed a special princess pillow case to go with it. 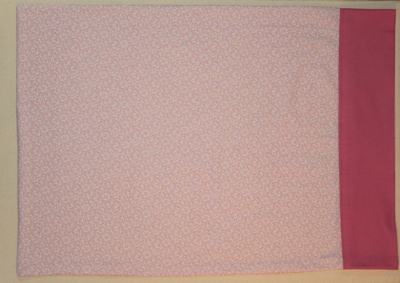 And another one in fabrics left over. Sleeping on pink is always good! 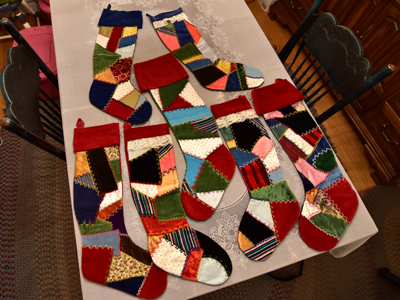 Then onto making a crazy-quilted Christmas stocking to better match one made almost forty years ago before my youngest daughter was even born! I was a bit rusty after not doing crazy-quilt work for several years and I had to content myself with what came of it. See the picture below. Again my "finished-is-better-than-perfect" rule was applied! This is the way projects go when there was no time to waste as Christmas neared. It was done in the nick of time for Santa to fill! 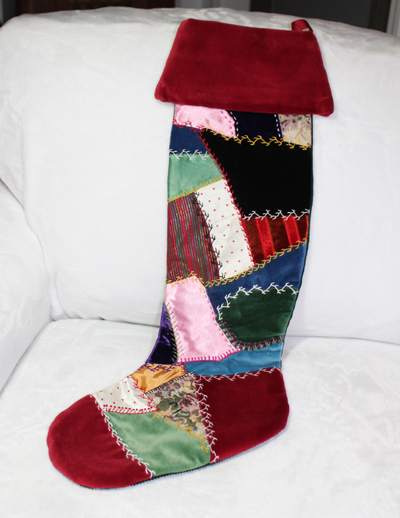 I will include pictures of our other family heirloom crazy-quilted Christmas stockings that we have used now for the past 39 years!! each is unique and different. they fit in regardless how you decorate. father made, so each of our children will inherit a similar set. 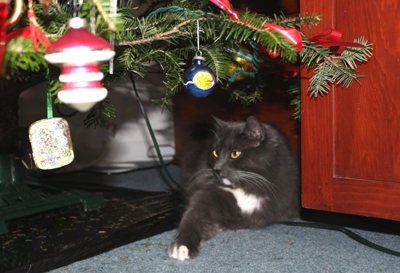 and this made him choose another favorite spot to "camp out". 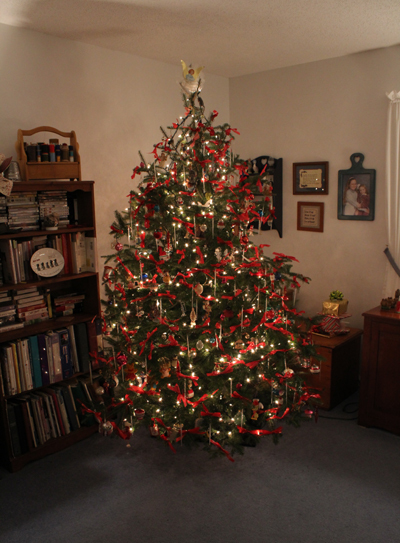 I am relieved that Christmas has come and passed! 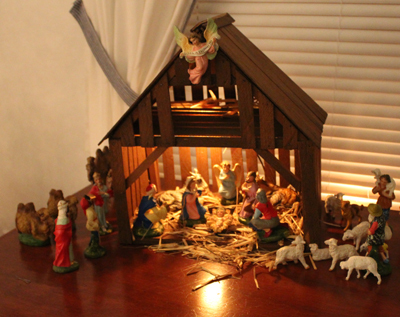 Although I love advent, it seemed that our Christmas preparation wasn't complete until but a day or two before Christmas! I got into the real Christmas spirit just when my niece's car was stolen in Denver and in it were coats for my niece and her step-child, along with gloves, hats, boots, backpack and lunchbox. Her young family was already financially stressed with the Christmas season and so I went through my house and crafts and did a bit of shopping as well to put together what I could to help meet their needs and got it packed and sent in time for Christmas! The intent was that my package would at least bring some warm hand-me-downs and a few gifts besides! Fortunately her car was found, though her personal items were lost and gone forever! I have made my first New Year's resolution already: I am going to start planning for Christmas 2019 now! Holiday rush equals holiday stress! Of course, I already knew this, but how quickly I forget! This holiday also came with unexpected news. My end-of-the-year doctor appointments brought another shock! I had found an article on line about a woman with Chronic Lyme having issues with Mast Cell Activation Syndrome. It read too much like my own health history to not share with my doctors. I didn't give it much more thought. Not only did they listen to me, but agreed with my finding and are considering the possibility that this issue might well be cause for some of my health issues. I am to be pre-tested in January, to be followed by more testing should such other inflammatory reactions occur again. It seems I continue to be a "red herring" in the medical world! After getting over the shock of potentially having still more medical issues to address, I have been reading more about mast cell dysfunction and have found the information most helpful! I have already made changes in what I ingest. The more information I have regarding what might annoy my body will help me to better honor its preferences! I have ordered books to study in the new year. I figure knowledge is power and hopefully I will learn how to avert medical crises! It also came in the nick of time to stop myself from becoming the Holiday Grinch as we hosted our two daughters and their significant others to celebrate Christmas here at Little House! As I review 2018 and set new goals for 2019, I will once again add health goals to the top of my list, cross my fingers and pray for another productive year! I have lots to do and am eager to get started! Planning and setting goals are part of what I need in order to focus and accomplish my sewing dreams! *A special thank you to my husband for his help in photographing the pictures included in this blog! Labels: First New Year's resolution...to early planning for Christmas 2019! Finished is better than perfect philosophy!